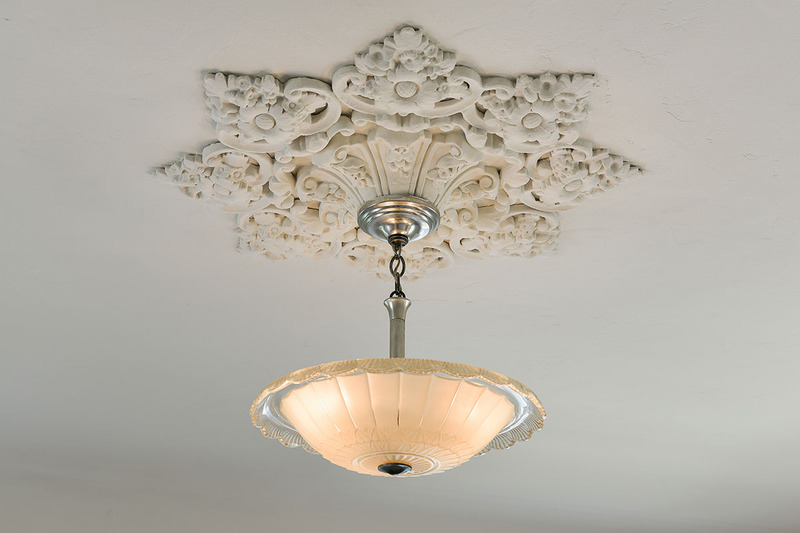 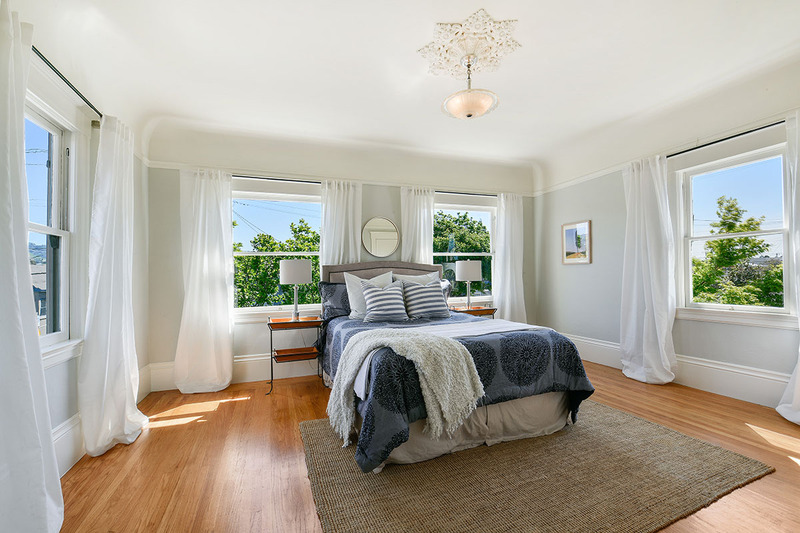 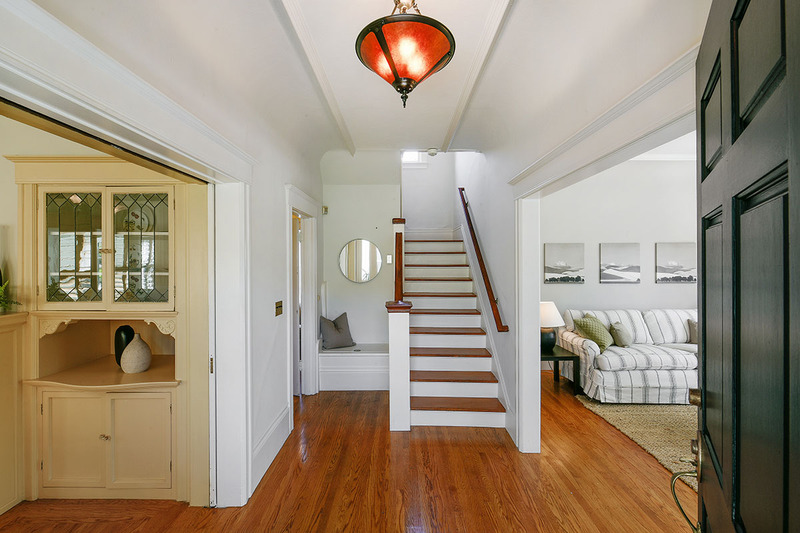 A Stately turn of the century Temescal home. 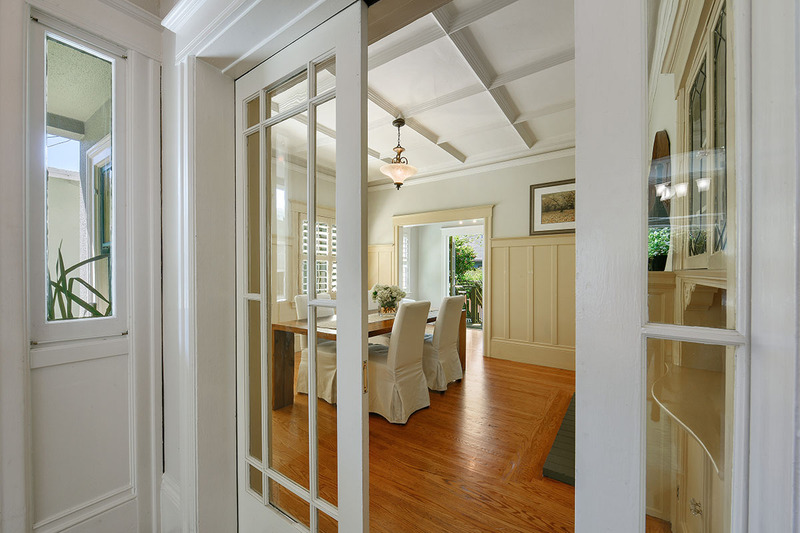 The entry foyer separates the living and dining rooms and is detailed with a window storage seat, coved ceiling and multipaned glass pocket doors which separate the two formal rooms. 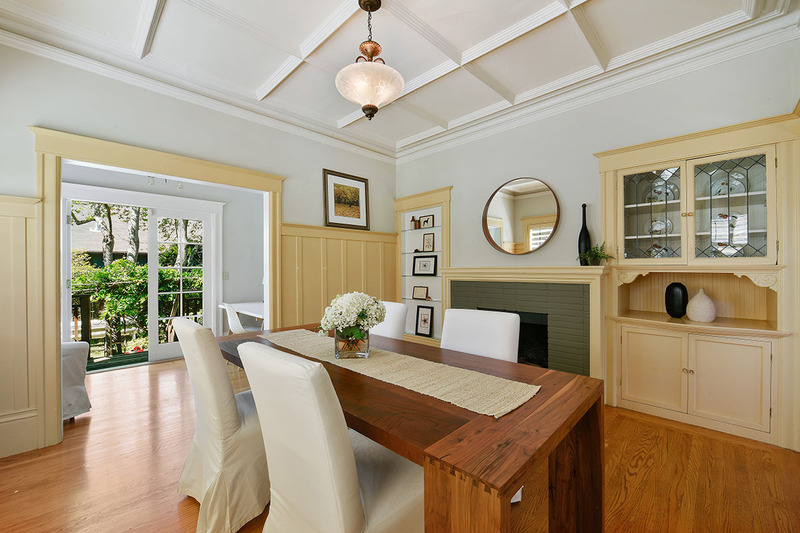 Formal dining room with box beam ceiling, plantation shutters, fireplace and classic built ins. 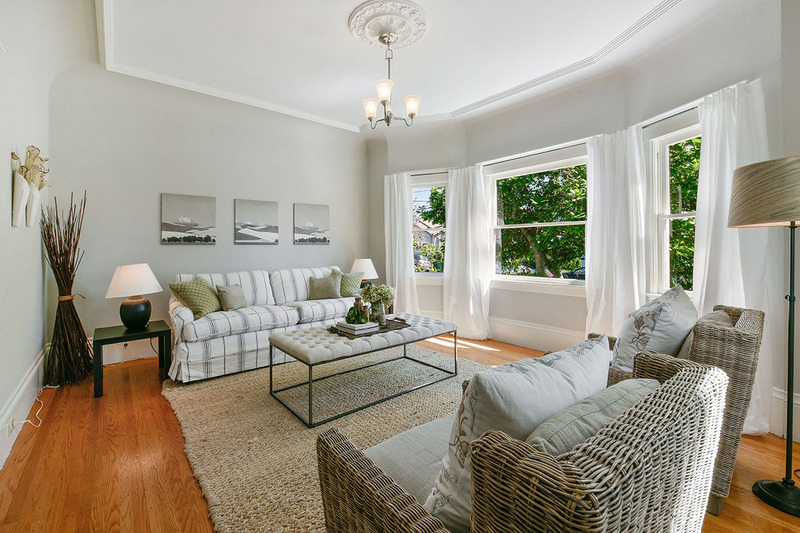 Living room with coved ceilings and hardwood floors. 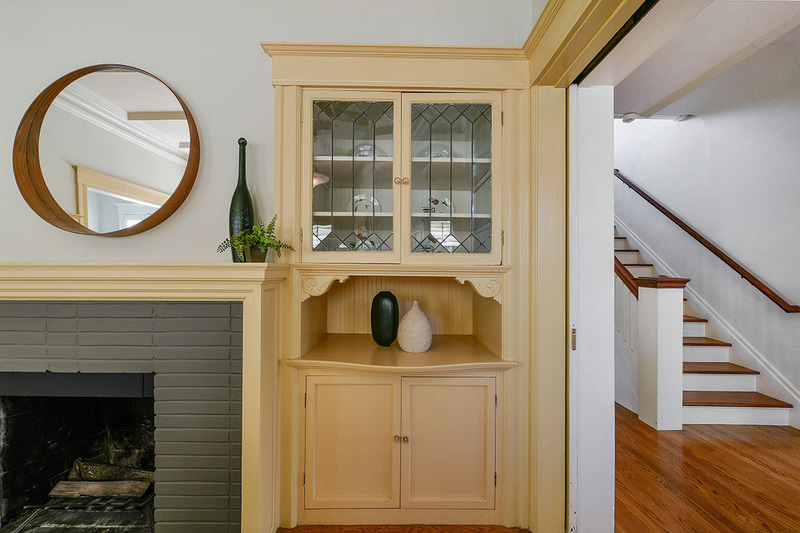 Relax on the front porch or enjoy watching the passersby from the wide bay front windows of your own Temescal Oasis! 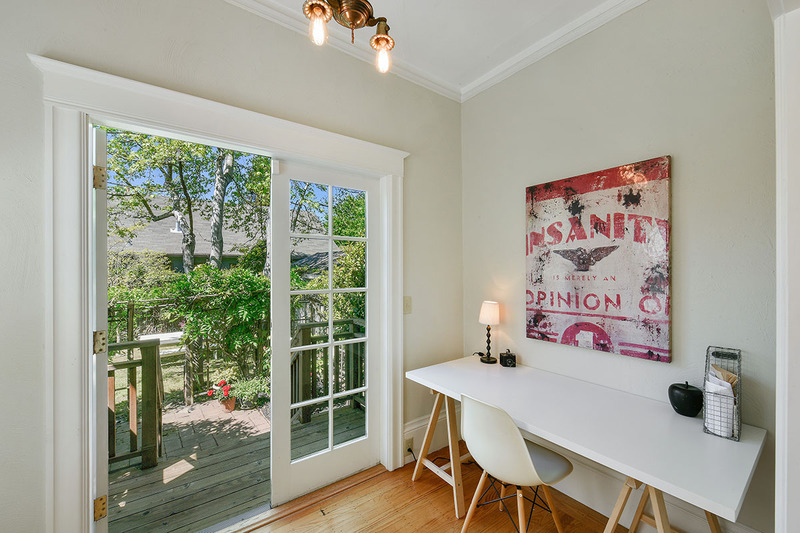 Step through the dining room into a truly delightful sun room or office with French windows opening out to a Wisteria covered arbor and charming patio for outdoor dining. 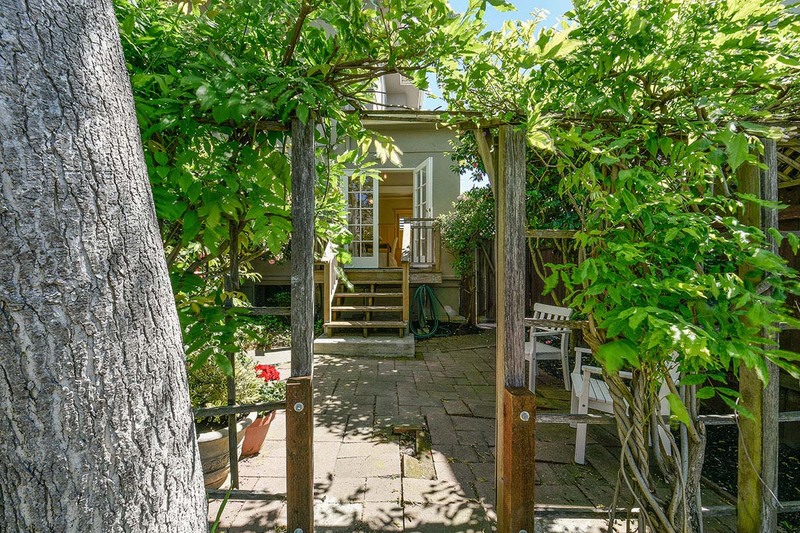 Beyond the patio is a level lawn area and plenty of room in this town style garden. 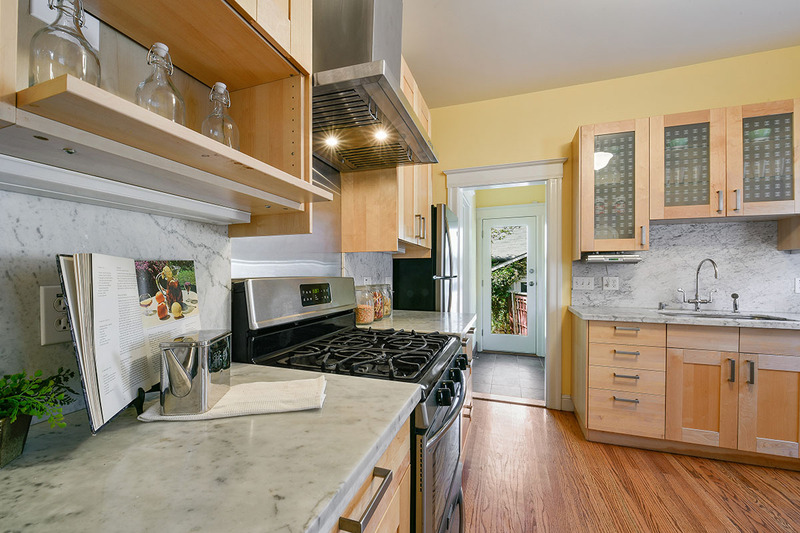 The kitchen has been tastefully remodeled with light modern shaker style cabinetry, wooden window shutters and Carrera marble counters. 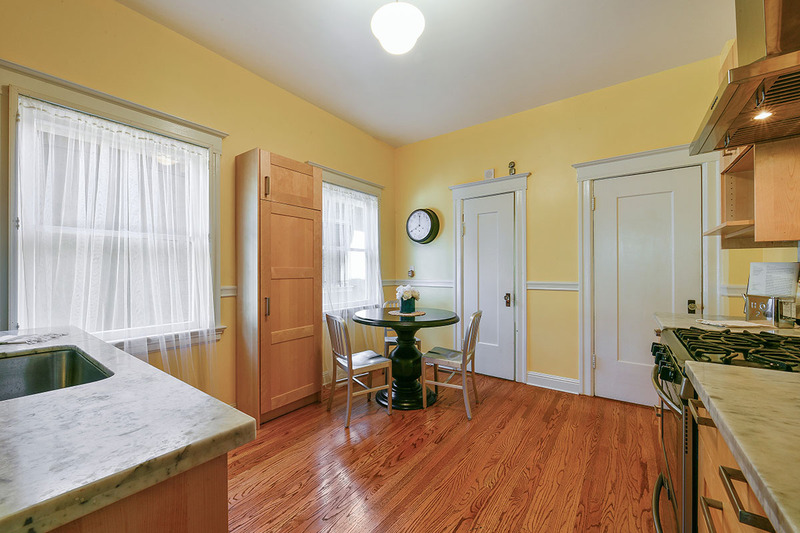 Extra storage space is provided with that rarely available walk-in pantry! 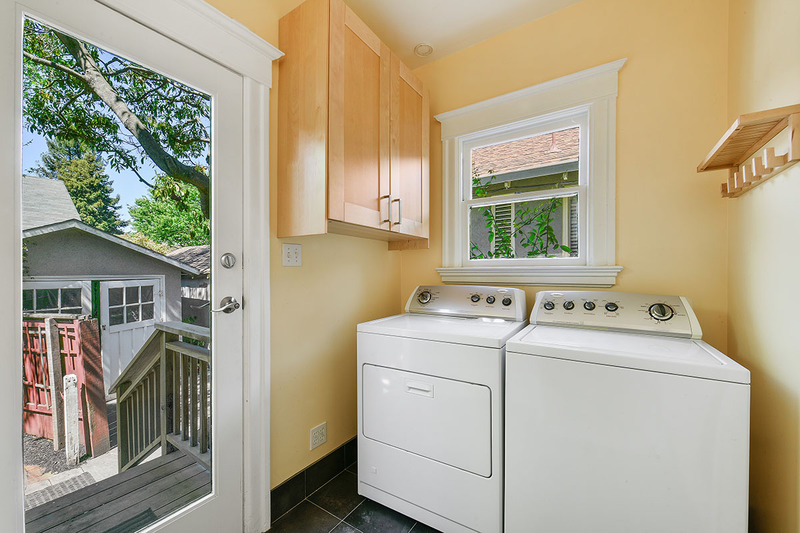 Through from the kitchen a sunny laundry room leads to steps accessing both the back patio and the detached garage. 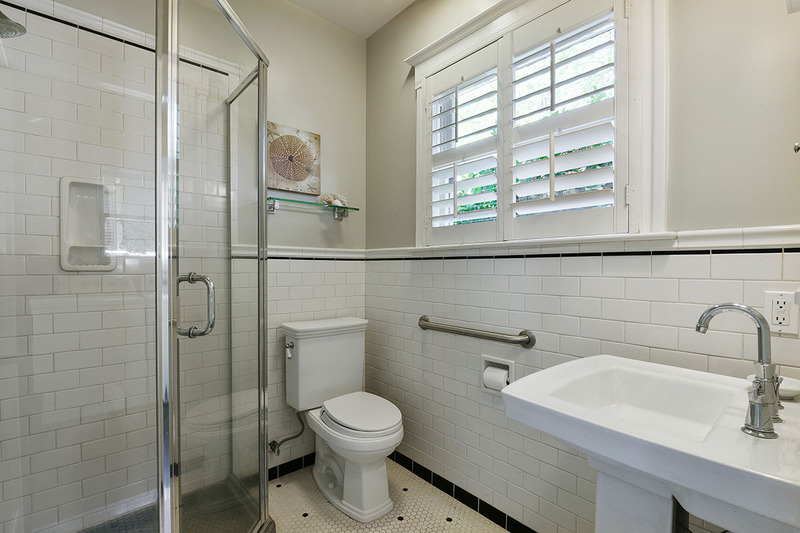 To the side of the laundry room is a completely remodeled full bathroom. 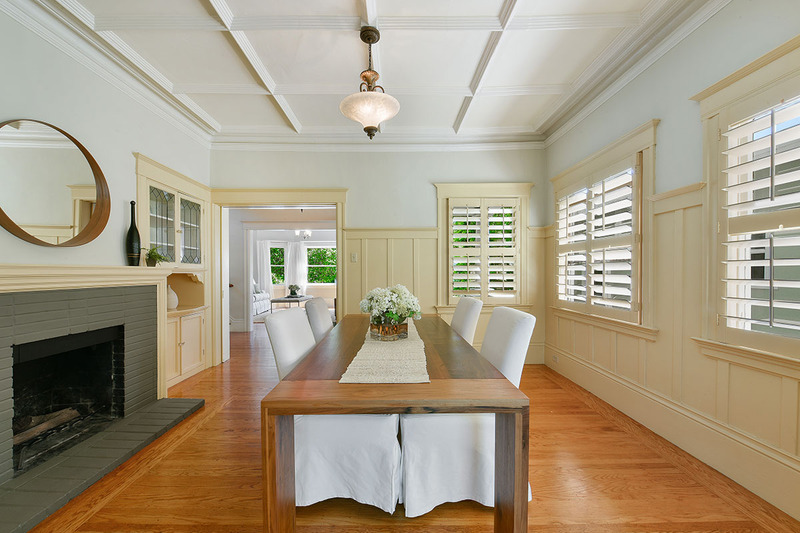 Wooden window shutters direct the light from above the garden trees. 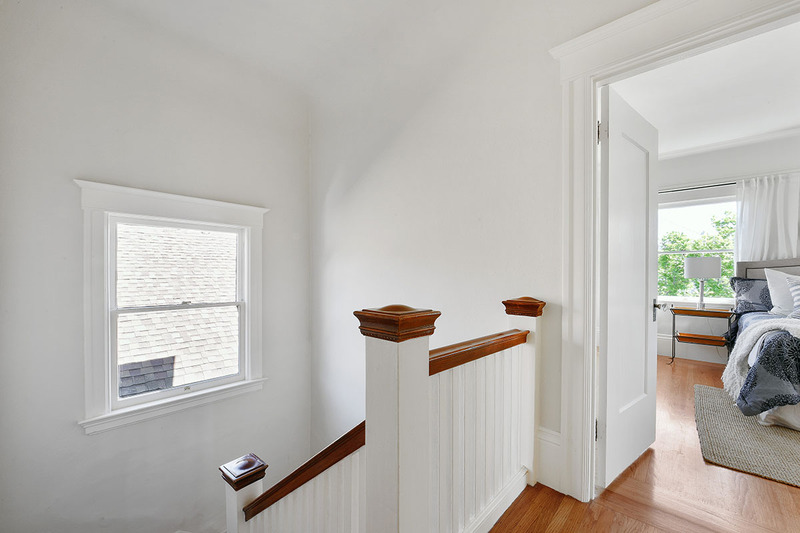 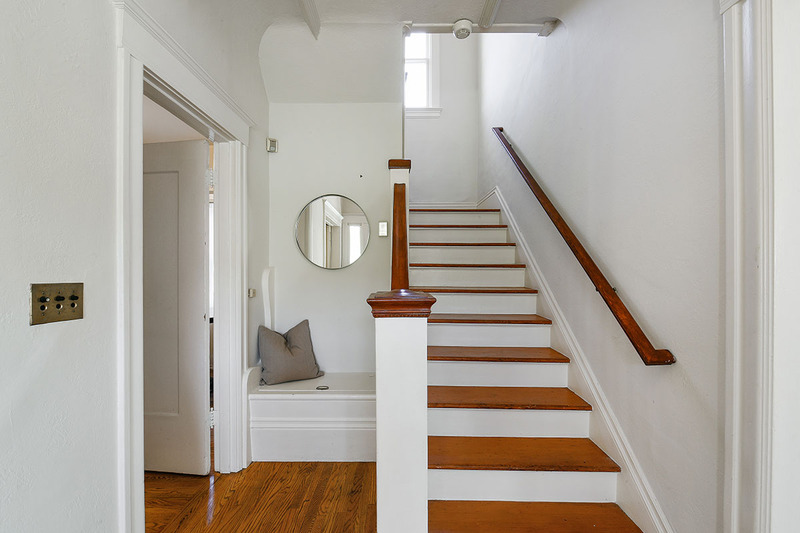 Up the stairs are three sunny bedrooms all on the same level and a second classic bathroom with claw foot tub. 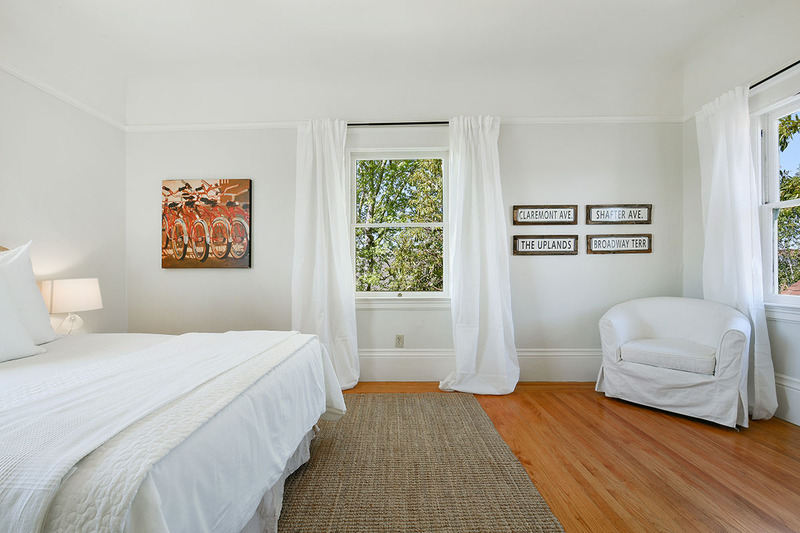 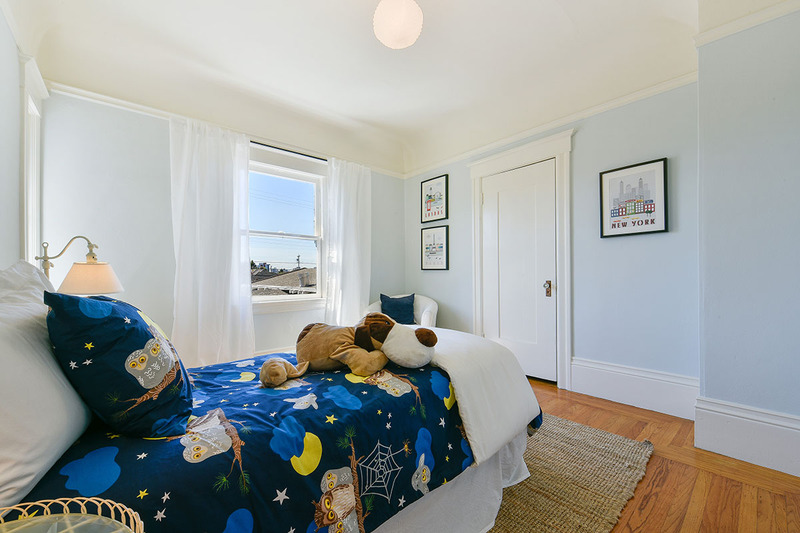 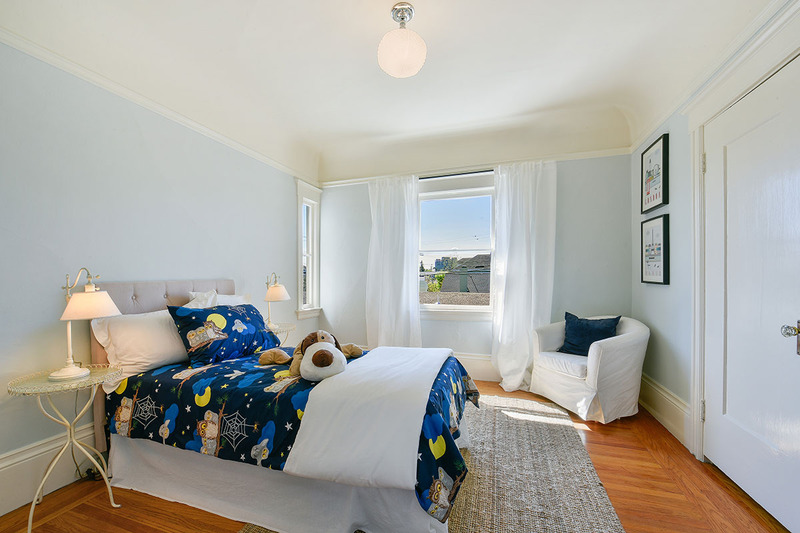 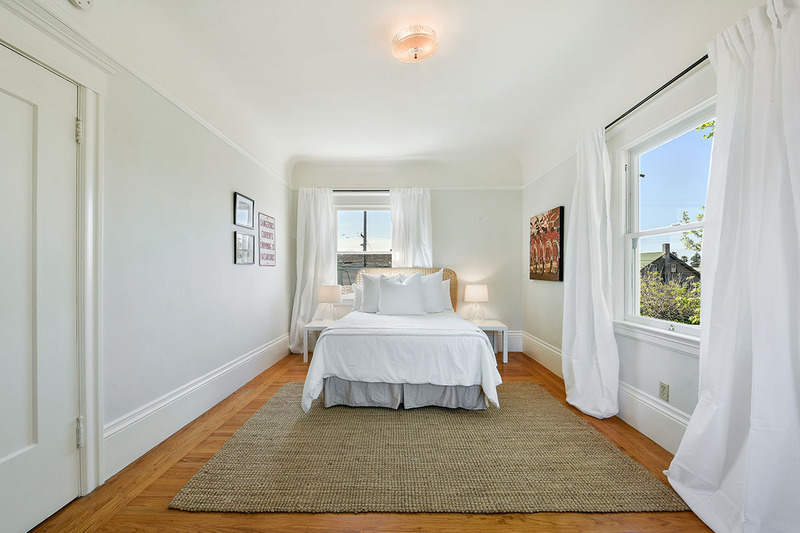 The roomy main bedroom has windows on three sides including views of downtown Oakland and beyond. 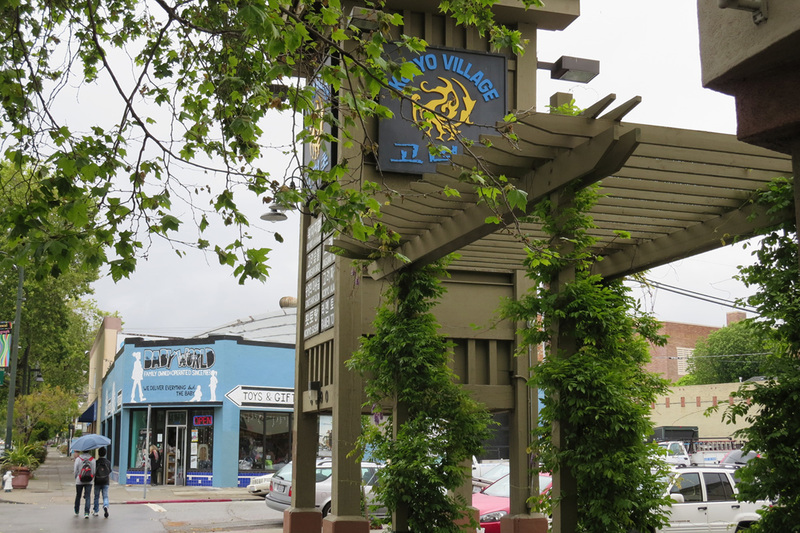 All this one block to the restaurants, shops and convenience of Telegraph Avenue. 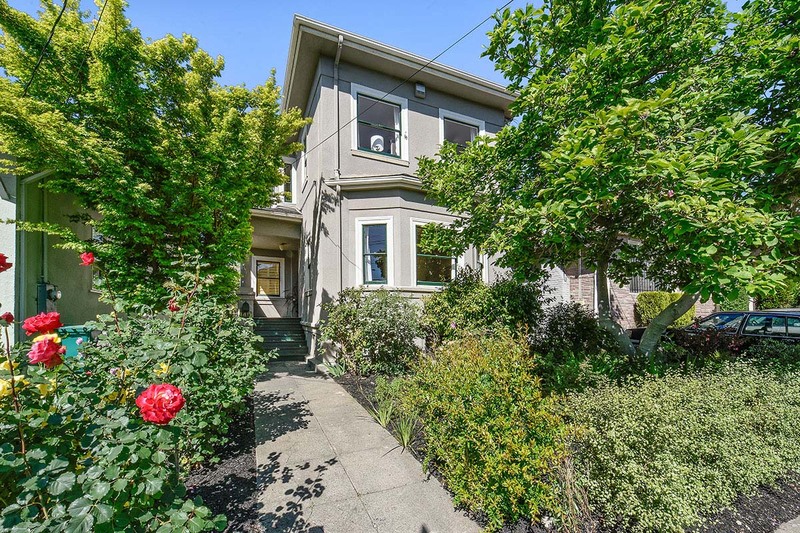 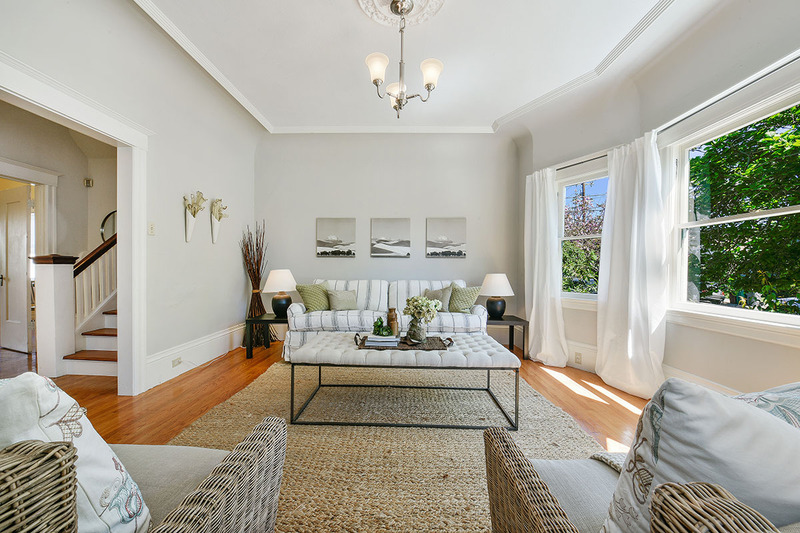 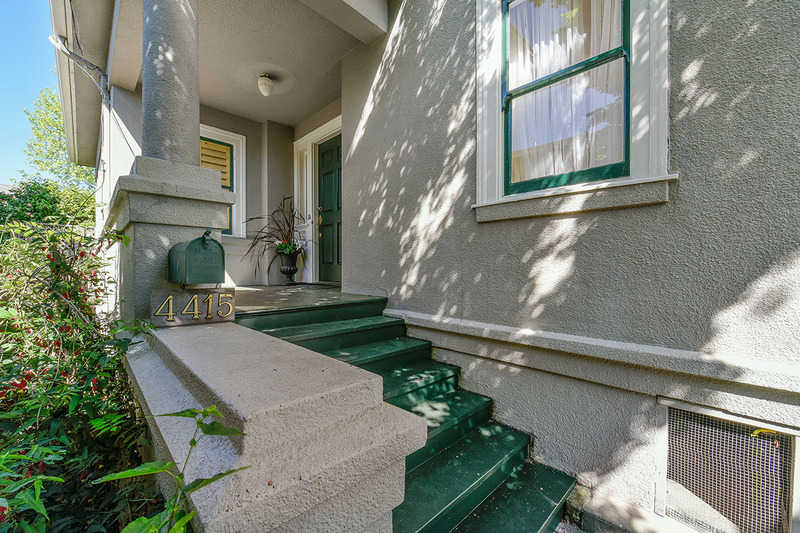 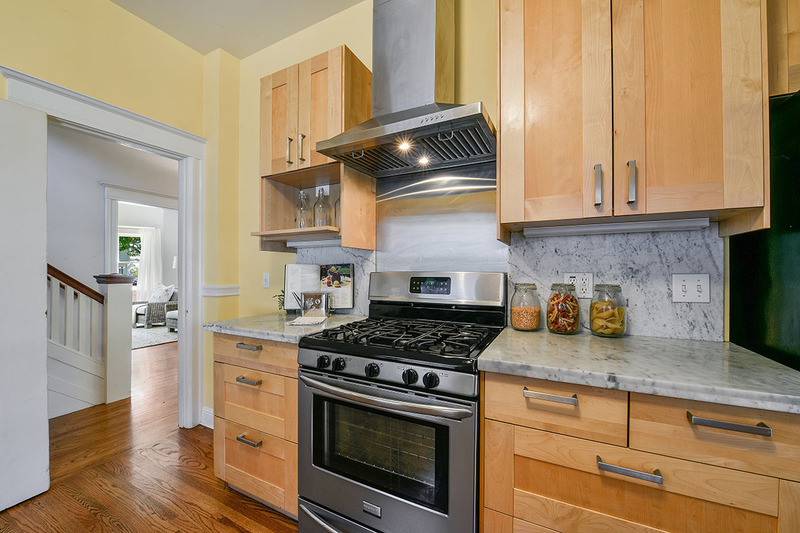 Just minutes from Frog Park, Sunday farmer's market & BART with an easy commute to SF. 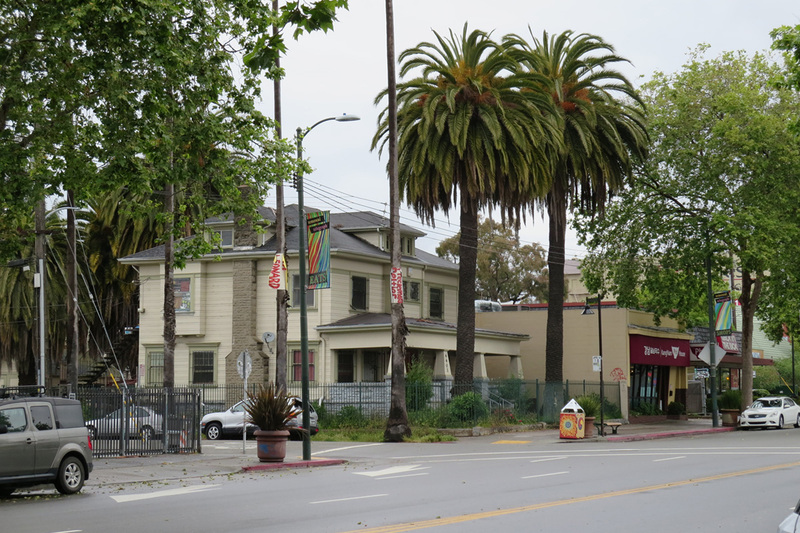 Temescal is one of the oldest neighborhoods in north Oakland, named for Temescal Creek. 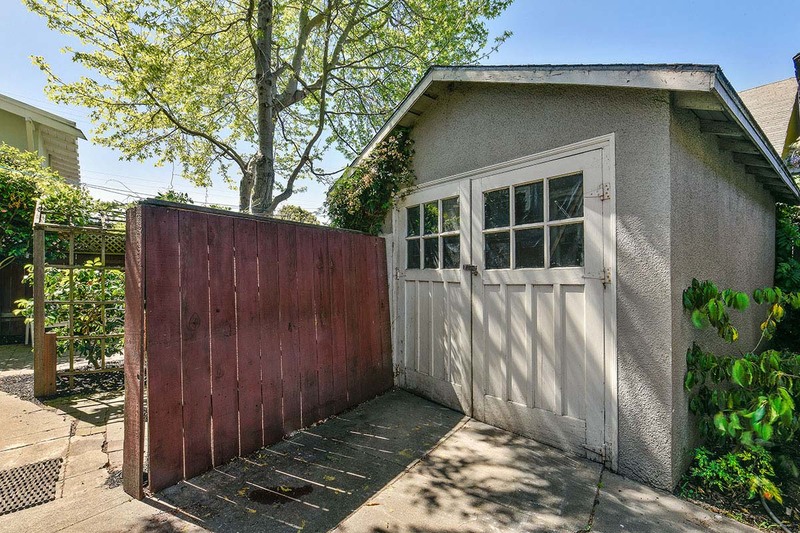 California bungalows and stucco single-family homes comprise the bulk of housing in Temescal, which is popular with first-time Oakland homebuyers. 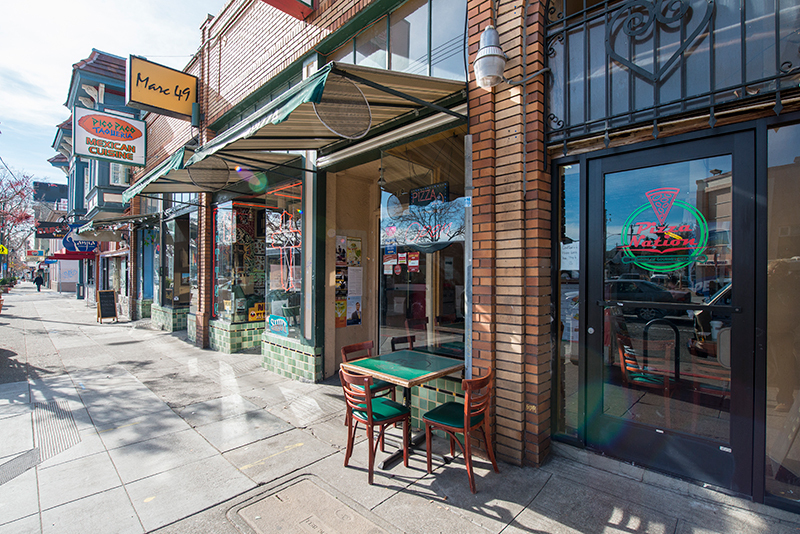 Temescal’s main thoroughfare is Telegraph Avenue, which runs from the MacArthur Bay Area Rapid Transit (BART) station to 55th Street. 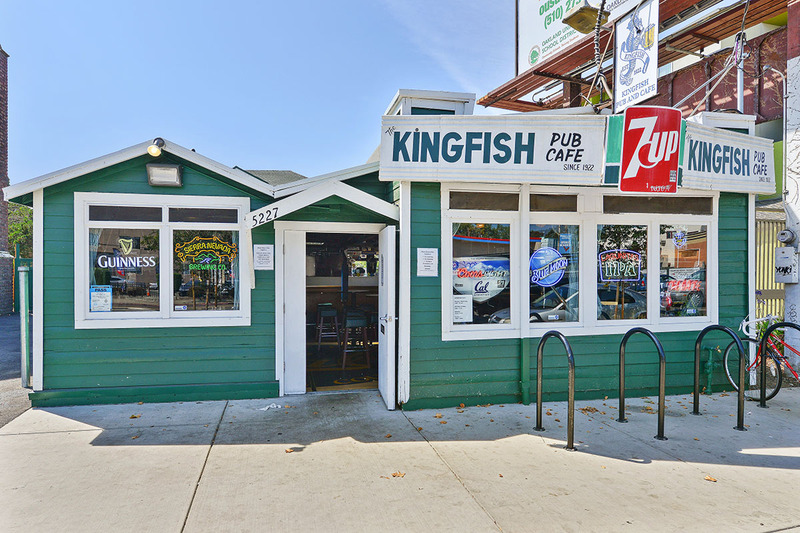 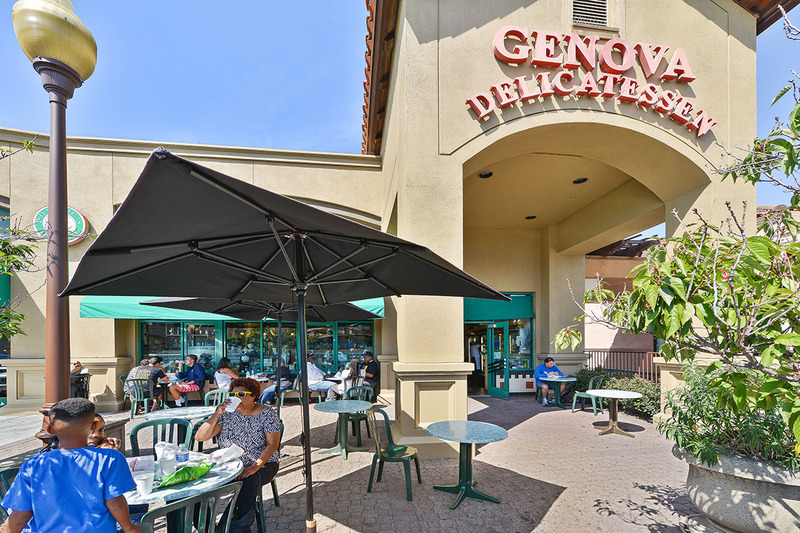 The highly walkable neighborhood has the feel of an urban village. 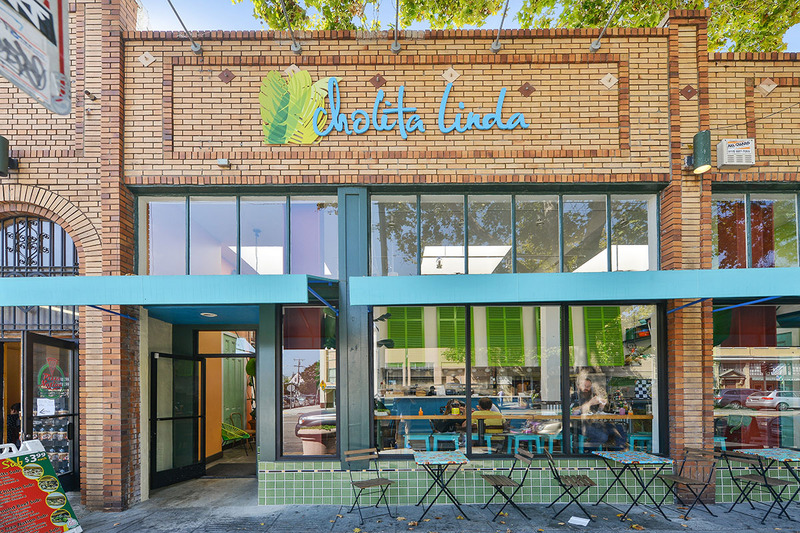 Feeding the foodies of Temescal are Bakesale Betty’s, the wood-fired ovens of Pizzaiolo, and authentic Mexican restaurant Doña Tomás. 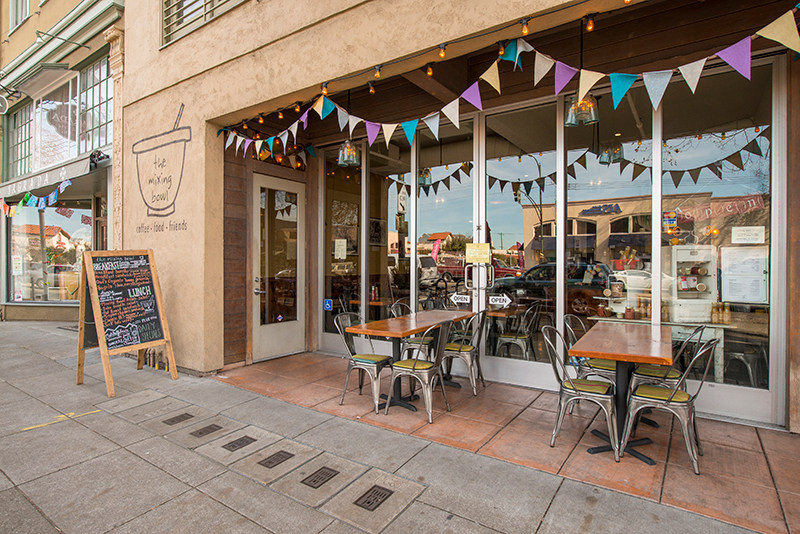 The Temescal Farmers' Market provides fresh produce, and food stands serve chai, crepes, and Blue Bottle Coffee. 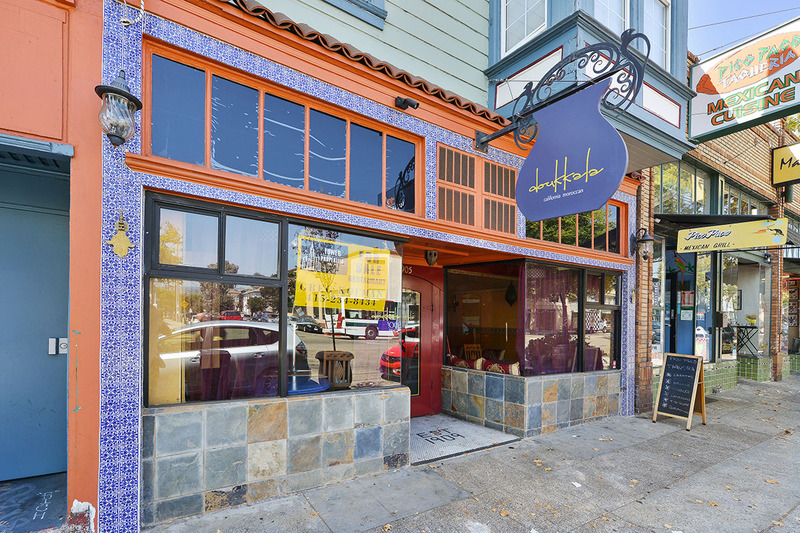 Wine lovers rave about The Wine Mine’s weekly tastings, and wine bar Marc 49 serves patrons on its off-street patio. 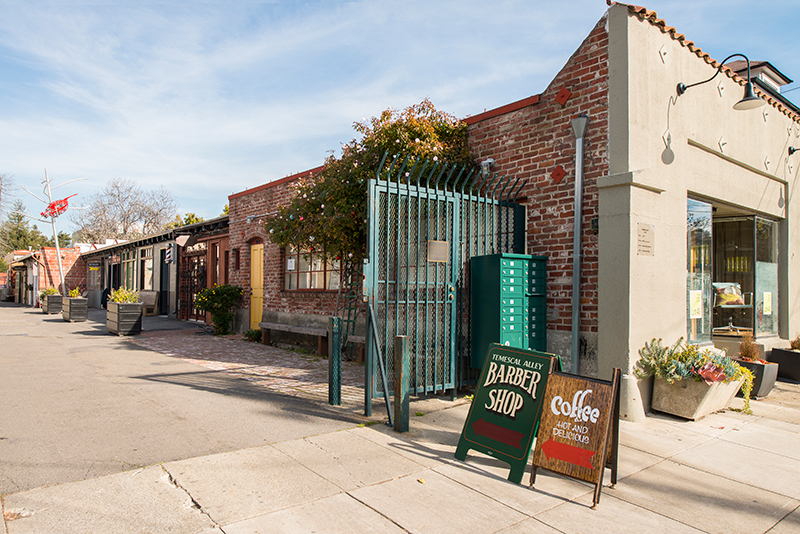 Arts and culture make this neighborhood lively. 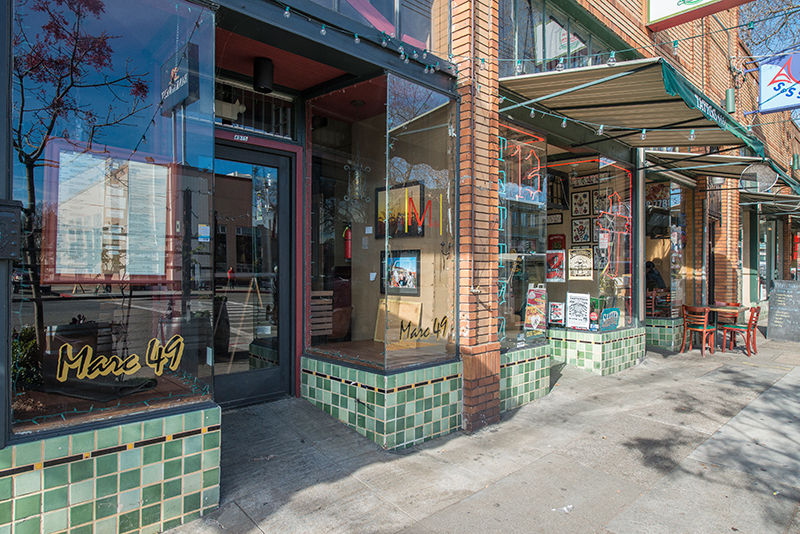 The annual Temescal Street Fair showcases arts, crafts, and music by residents of all ages. 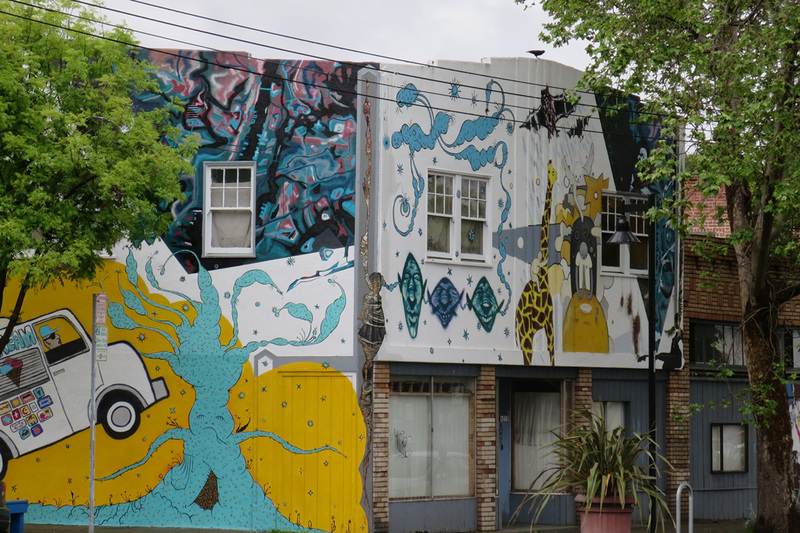 Galleries feature up-and-coming young artists. 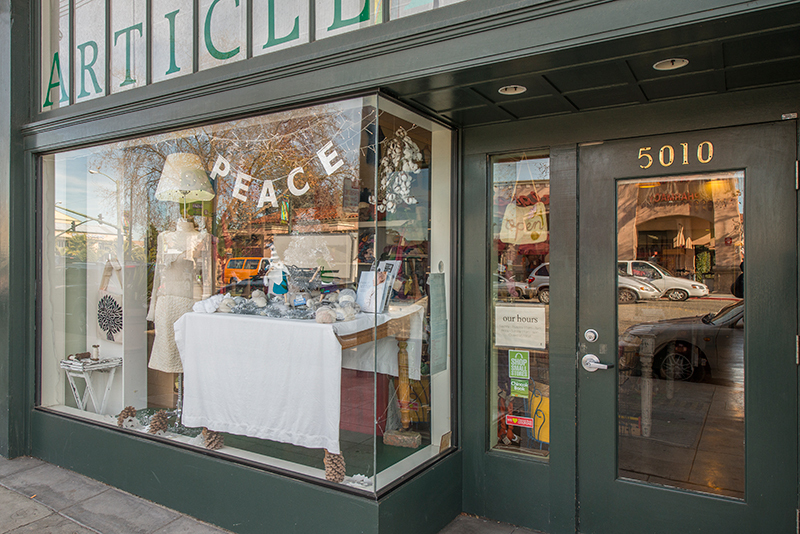 The Temescal Arts Center hosts dance and musical performances and offers classes in everything from yoga to tai chi. 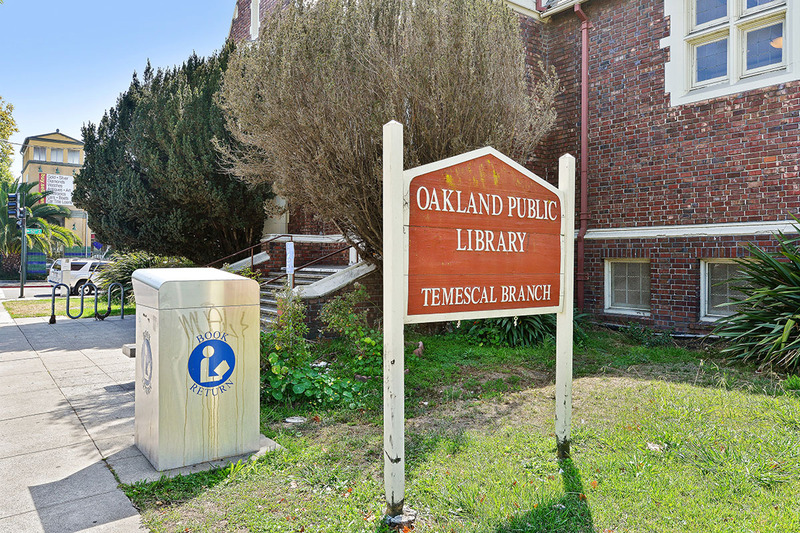 The Temescal Library, opened in 1918 with Andrew Carnegie’s foundation funds, is the only Oakland branch to offer books in Amharic and Tigrinya languages. 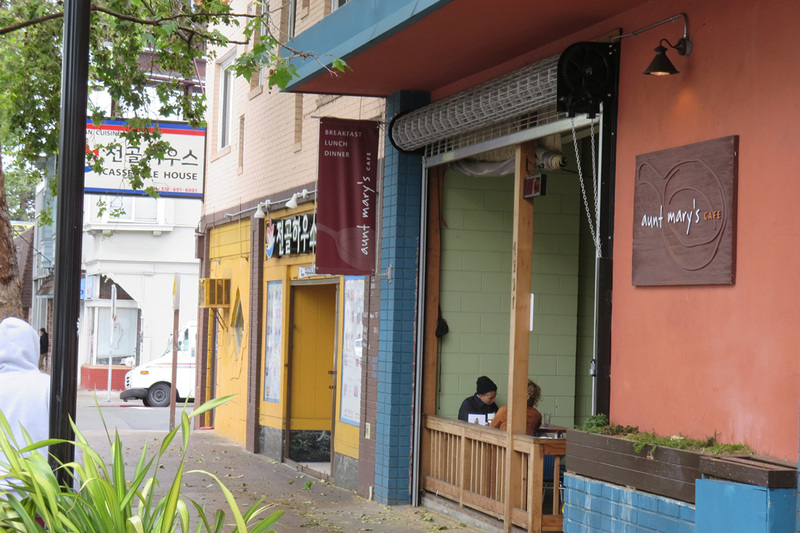 Studio One Art Center, run by Oakland’s Parks & Recreation department, offers affordable art, photography, bookmaking, and yoga classes taught by working professionals. 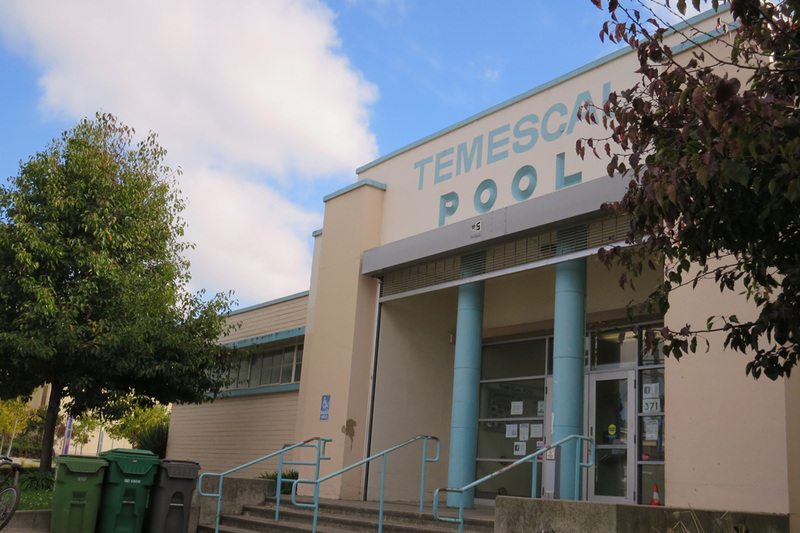 Right next to that is the Temescal Pool which is open to the public. 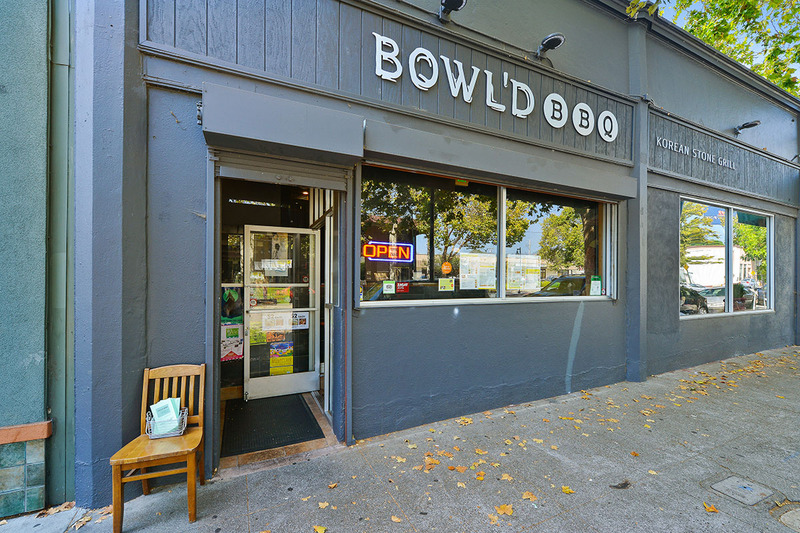 The adjoining grassy open space accommodates the Bites off Broadway family friendly summer foodtruck event on Friday evenings. 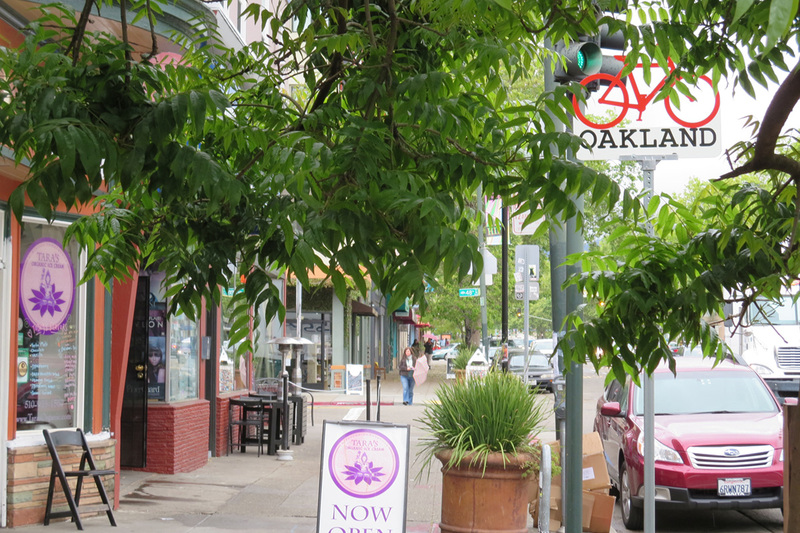 The neighborhood is also home to several public and private schools, including Park Day School and the architectural landmark Oakland Technical High School on Broadway. 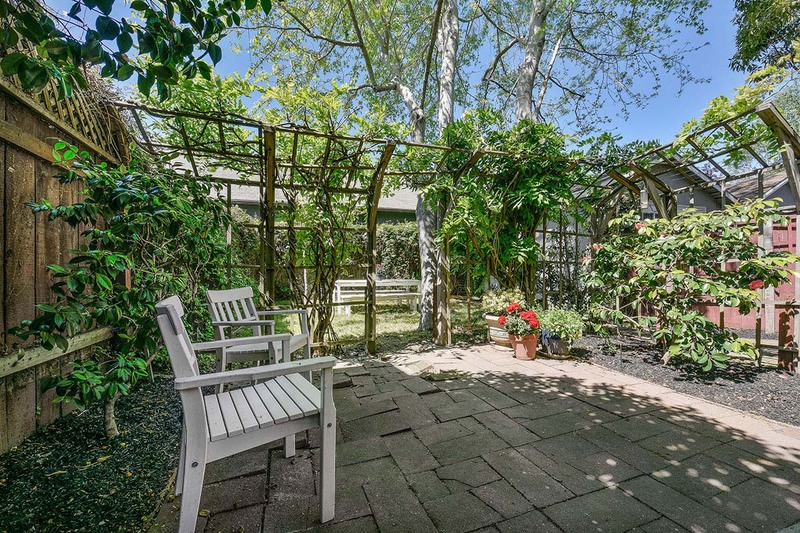 The nearby Frog Park meanders along a recently daylighted stream and provides outdoor playspace for youngsters, whilst on Sundays it provides a popular promenade to the Farmer’s Market. 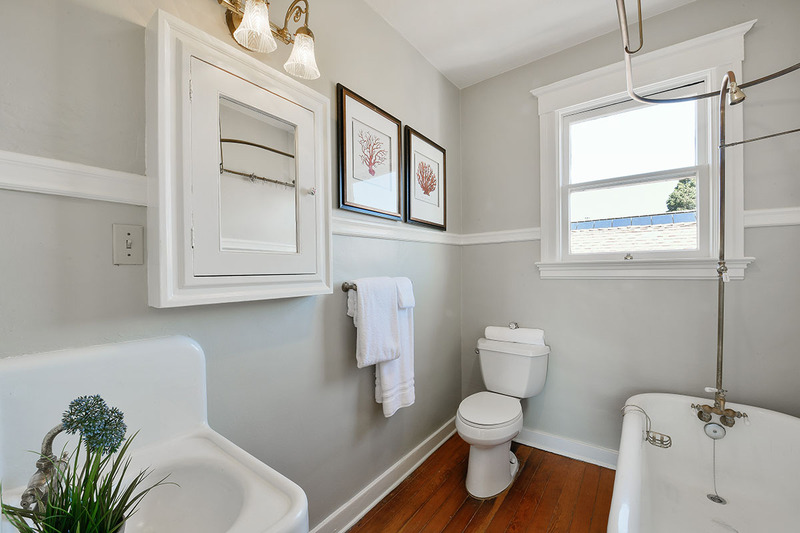 Housing now is a hip mix of early 20th Century classic craftsman houses built over the long disappeared port of Oakland railway yards and new Condo’s adding a retro Modern style into the thriving mix.